Students gain familiarity with certain forms of academic misconduct early on in their education. Plagiarism, for example, can be a form of misconduct that students grapple with on a regular basis, but what about when a student signs a peer into class who isn’t attending, when one member of a group shoulders most of the group project, or when students recycle portions of an assignment submitted to another class? These are some of the real questions brought up during the Residence Life don-led information sessions offered to over 200 first-year Wilfrid Laurier University students at the beginning of the fall 2015 term. The session introduced students to various forms of misconduct and the concept of academic integrity as part of a Laurier-led study on the effectiveness of learning about academic integrity through peer mentors. "Before the sessions, many students only equated misconduct with plagiarism. Surprisingly, four weeks later, students had actually retained a significant amount of the information and demonstrated enhanced knowledge in the area of academic integrity." 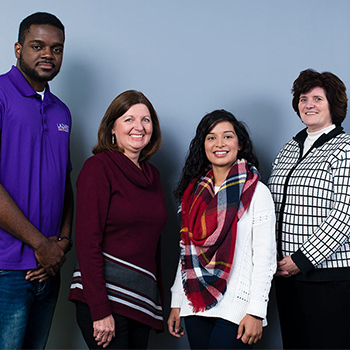 The results of this collaborative research project between Laurier student leaders, Residence Life, Teaching and Learning, and the Department of Psychology, entitled “Peer-Based Interventions on Academic Integrity: Assessing Immediate and Long Term Learning,” were recently published by the Journal of Academic Ethics. The team was supported and advised by Gail Forsyth, director of Teaching, Learning and Retention at Laurier. Preet Chauhan, a doctoral student in the Department of Psychology, carried out the study with Eileen Wood, Laurier Psychology professor, Teaching Fellow and 3M National Teaching Fellow as her supervisor. “Eileen has been a true mentor during this project and has been conducting research in this area for years,” says Chauhan. The study was created to find out if, through 30-minute information sessions led by a peer mentor, students could learn and retain information related to the definitions, detection, and consequences of academic misconduct. Importantly, instead of focusing solely on specific forms of misconduct, these sessions took a more philosophical approach by outlining the importance of practicing academic integrity. The study assessed participants’ understanding of misconduct before the 30-minute information session, immediately following the session and four weeks later. During the sessions students were given opportunities to discuss the topics, such as honesty, cheating, ways to detect misconduct and why personal and professional integrity matter. While this outcome is consistent with other similar studies in the field of teaching academic integrity, Wood explains how their specific model takes the research in the area one step further.